In this underground quarry called ‘The Caverne du Dragon’, which became army barracks during the Great War, you can follow along the many galleries in the footsteps of WW1 soldiers. The chapel, first aid station, command post and No Man’s Land movingly testify to the lives of these men - both French and German – who fought and lived, sometimes even side by side, in the obscurity of the cavern. On the very spot where this cemetery was built, the Americans stopped Germans thrust during the summer of 1918. With 2.289 graves and its commemorative chapel, Belleau Wood (External link) has been converted into a memorial dedicated to all Americans who fought there during the First World War. Today the woods itself remains a shrine, where some artillery weapons are a grim reminder of the violent fights which took place there. Visit the superb medieval cellars (XIIth century) and taste Pannier Champagne (External link) , which is the result of a unique know-how. At the heart of the Marne Valley vineyard, the Pannier house has magnificent medieval cellars dug in the XIIth century. 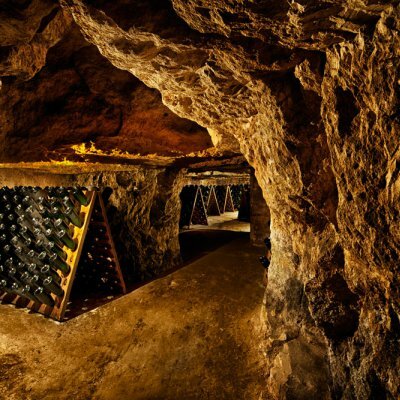 In the semi-darkness and the cool of this underground labyrinth, Pannier Champagne slowly comes to full maturity. Night at the Hôtel du Golf de l’Ailette (External link) at Chamouille. 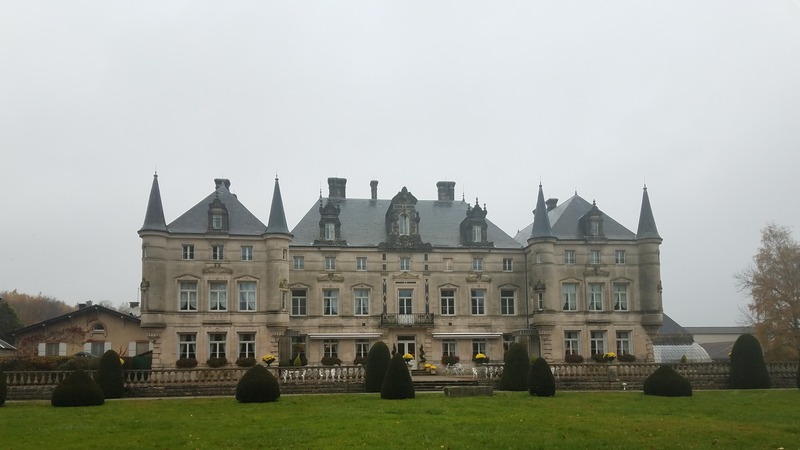 The elegant seventeenth-century château witnessed the ravages of the French Revolution and the 'Great War' (World War I). When the tide of battle turned in the latter conflict, 1917, Anne Morgan, daughter of the wealthy American John Pierpont Morgan, organized at Blérancourt a group of American women volunteers who delivered medical and social services to the local French population which had been severly traumatized by the war. In 1918, the Armistice was signed in a railroad car parked in the nearby woods. Anne Morgan's work continued until the French authorities were able to assume the tasks. 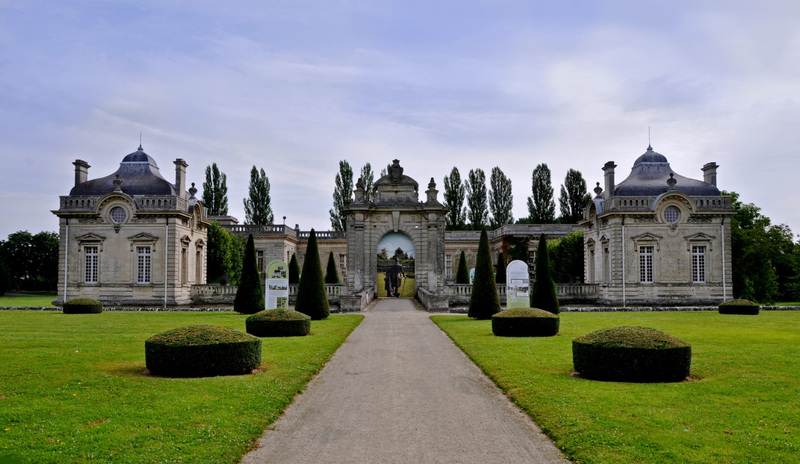 In 1931, Blérancourt (External link) became a French national museum on Franco-American Cooperation. The unique collection informs visitors of the American participation in the Great War, highlighting the activities of Anne Morgan's American Committee for Devastated France; of the first American 'fly boys', the Lafayette Flying Corps; of the volunteer ambulance drivers, especially those of the American Field Service. The emphasis is on creating memorable cooking experiences that are educational, interactive and fun, using seasonal and local produce and showcasing local and regional producers. Workshops can be tailored to individuals or small groups, private or corporate. Guided visit to Taittinger House of Champagne on WW1 theme, followed by a tasting. Taittinger (External link) is one of the last great Champagne houses to have retained its independence and bear the name of its owners and managers. The network of cellars and gallo-roman chalk quarries became a place of refuge for soldiers and inhabitants during WW1. Signs are still on the walls. 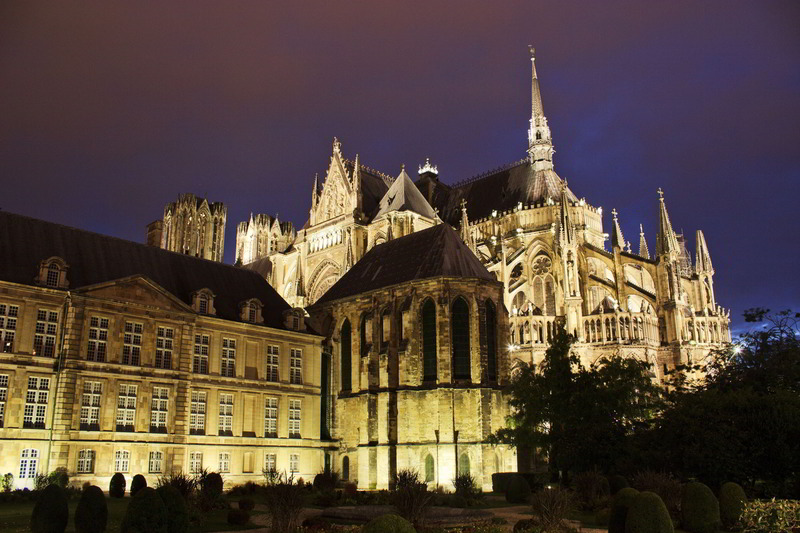 During WW1, Reims (External link) was destroyed at 80% by German bomb fires. On September 19th, 1914, a shell fired the cathedral. Thanks to American donation, that monument was restored after the war. La Main de Massiges, or ‘Hand of Massiges’, is an important First World War site. It lies in the east of the Champagne Front, where it joins the Argonne Front. Following their withdrawal in September 1914, the Germans took up a position on this piece of high ground, whose shape resembles a left hand laid flat on the ground, each finger representing a bastion of this natural fortress. An informal First World War museum that sets out to reveal what daily life was like for the average soldier. Each item tells its own personal story. It was Jean-Paul de Vries’ passion for the subject that led to the creation of this vast collection. With its 14,246 crosses, the Romagne Memorial is the largest American graveyard in Europe. The Sammies who fell during the battle to liberate the Meuse-Argonne area rest in peace here. 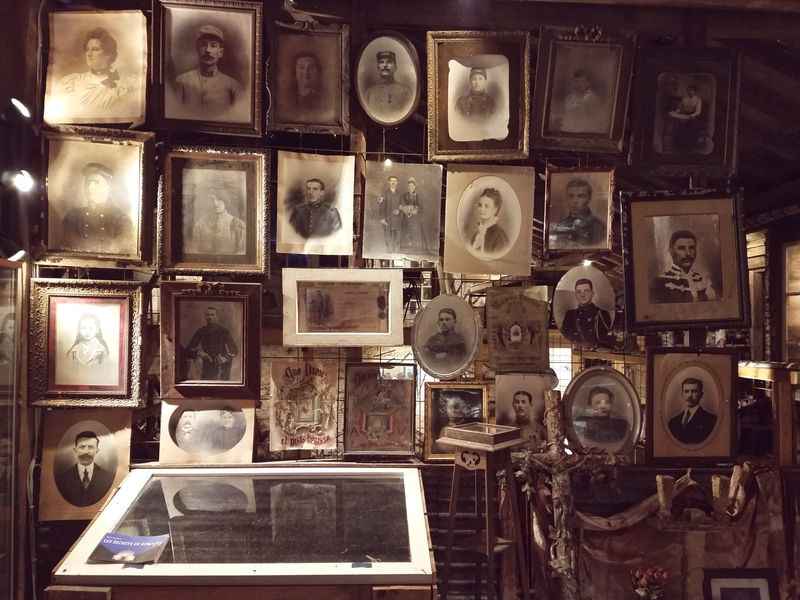 Its layout and architecture make this an essential part of any tour aiming to show what Americans mean when they say, “We shall never forget”. This monument was erected by the American Battle Monuments Commission (ABMC), a US government agency that also takes care of its maintenance. Reaching a total height of 60 metres, it is surmounted by a statue symbolising Liberty; this faces the front line of the American First Army on the morning of 26 September 1918, at the beginning of the offensive. Visitors can climb to the observation platform (opening times are displayed outside) from where they can enjoy a magnificent view over almost all of the territory conquered during the Meuse-Argonne offensive. This was the biggest battle in the history of American at that time. The Meuse is home to a wide range of unique local gastronomic pleasures. Verdun is the world capital of the “Dragée.” This delicate candy, a sugar coated almond was considered an aid to fertility and today, no self respecting wedding or baptism celebration would be without “dragées” on the table. 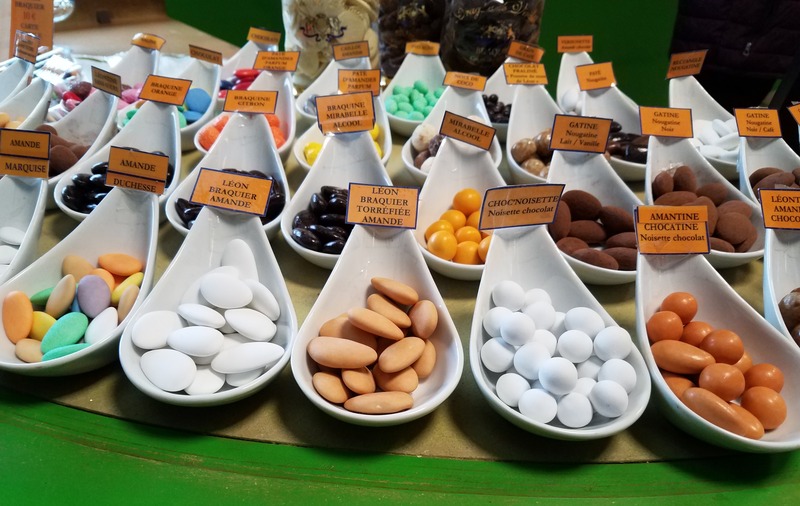 A visit to the Braquier Dragée Factory (External link) in Verdun will hold many pleasant surprises. A visit to the Verdun Battlefield is an essential step in understanding the intensity of the fighting, the life of the solders and the artillery duel that marked the Great War. 300 days and 300 nights of unbroken fighting. More than 300,000 dead and missing, 400,000 French and German wounded. The Battle of Verdun in 1916 was the most deadly head-on clash between France and Germany in history. It is impossible to truly grasp the profound horror of the Great War and understand the sacrifice of a whole generation without visiting Verdun. After taking Fort Douaumont, the German army made Fort Vaux one of its beginning of the First World War, the French general staff no longer believed in the usefulness of fixed fortifications, as they had become convinced that only an offensive would secure victory. The destruction of the Franco-Belgian forts in Meuse seemed to confirm this idea. On August 5th, 1915 a decree was signed authorizing the withdrawal of the garrisons, the weapons and munitions and the supplies from the forts, therefore leaving the fort vulnerable. It contains the remains of 130,000 unknown soldiers, laid to rest with their comrades for all eternity. Audiovisual presentation "The Heroism of Soldiers in Verdun" (20 mins.) – Viewing every half-hour. The Ossuary and necropolis are two of the national French memorials to the First World War. The Ossuary gives a comprehensive overview of the Battle of Verdun. In the heart of the Battlefield, the Verdun Memorial, which first opened in 1967 under the patronage of French Academician and war veteran Maurice Genevoix, is one of the most important Great War museums in Europe. It is also one of the only museums built on the actual site of a battle. Beaumont, Bezonvaux, Cumières, Douaumont, Fleury, Haumont, Louvemont, Ornes et Vaux. Nine villages in the “Red Zone” were totally razed to the ground during the Battle of Verdun, swept away by the fearsome might of the battle. All that remain are markers symbolising the outlines of the houses and public buildings. They serve as a reminder of the trades and work of these old village communities and have never been rebuilt. They are ghost villages, villages that laid down their lives for France, and they are a moving memorial thanks to the chapels and commemorative monuments erected after the end of the war. Europe’s biggest Sound and Light show about the Great War is a poignant tribute to the hundreds of thousands of soldiers who lost their lives fighting a tragic battle in Meuse. 250 actors, 900 costumes, 1,000 lights: a magnificent fresco set against the unique backdrop of Verdun. The show starts at nightfall (the audience is advised to arrive for 10pm). Option to dine in a marquee; by prior reservation only. - Simultaneous interpretation in English, German and Dutch (via headphones). Dates: every Friday and Saturday from End of June till the end of July. In the East of the Department, the Saint-Mihiel Salient was the theatre of fighting throughout the First Word War. Today several monuments still bear witness to these events, including the Montsec American Memorial built by the United States in 1932 on the Butte de Montsec hill. It offers a magnificent panoramic view of the Lac de Madine and the Meuse hills. Important Gallo-Romain town, capital of the Merovingian Kingdom of Austrasia, birthplace of the Carolingian kings, capital of the Three Bishoprics Province, affluent medieval town, Metz (External link) offers an exceptional wealth of architecture and monuments: from St Etienne’s Cathedral to the district of the old Citadel, from the Imperial Quarter to the district of the Amphitheatre.